Item: PAN P104A - Brunette Sawmills, Ltd., Sapperton, B.C. Item: PAN P104B - Brunette Sawmills, Ltd., Sapperton, B.C. Item : LGN 742 - Buffalo bones gathered from the Prairie for shipment, at Gull Lake, N.W.T. 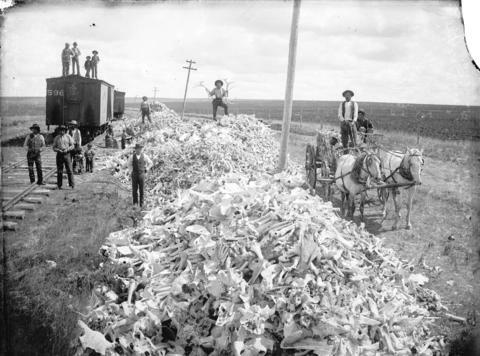 Buffalo bones gathered from the Prairie for shipment, at Gull Lake, N.W.T. 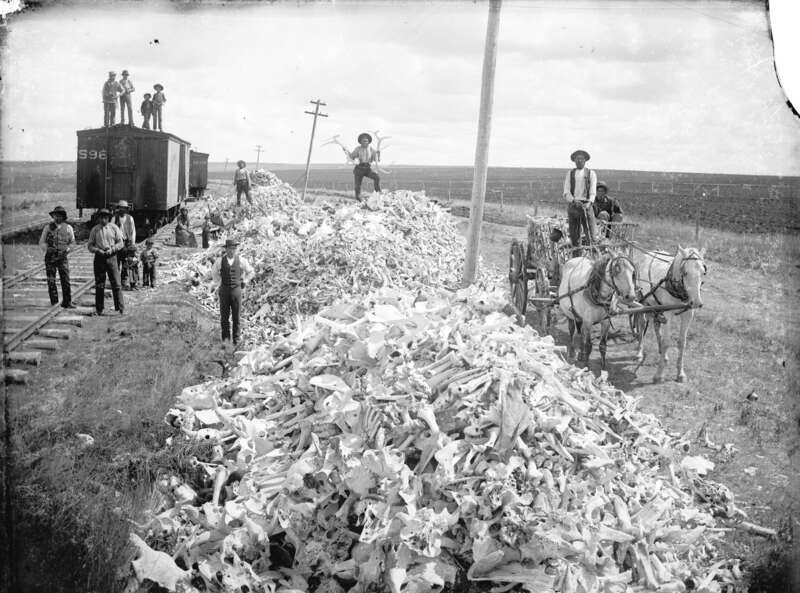 Photograph shows men posing with piles of bones next to freight cars on railway tracks. Gull Lake is currently located in the territories of the province of Alberta. Alberta was district of the Northwest Territories until it was established as a province on September 1, 1905.